WATER PRESSURE: A minimum of 25 pounds of water pressure is required for regeneration valve to operate effectively. EXISTING PLUMBING: Condition of existing plumbing should be free from lime and iron buildup. Piping that is built up heavily with lime and/or iron should be replaced. If piping is clogged with iron, a separate iron filter unit should be installed ahead of the water softener. 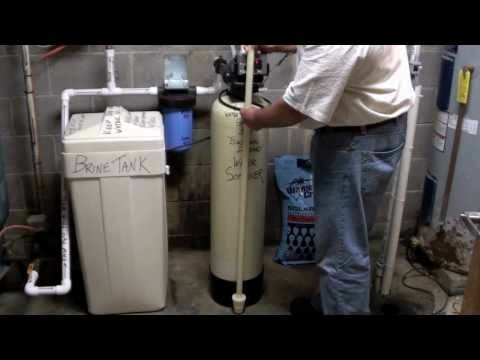 LOCATION OF SOFTENER AND DRAIN: The softener should be located close to a drain. BY-PASS VALVES: Always provide for the installation of a by-pass valve. CAUTION: Water pressure is not to exceed 120 p.s.i., water temperature is not to exceed 100° F, and the unit cannot be subjected to freezing conditions.